Welcome to Kendall Acura, your trusted hometown Acura dealership and automotive service provider serving the Eugene, Oregon area and beyond. We sell quality new, used, and certified Acura vehicles while maintaining our family values of excellent customer service and community outreach through our Kendall Cares program. We strive to provide you with a hassle-free and enjoyable experience that will leave you with a smile on your face and the car of your dreams in your driveway. Come visit our showroom today and experience the Kendall difference! We are conveniently located at 846 Goodpasture Island Road in Eugene, OR 97401, just a short drive away from the lovely areas of Springfield, Corvallis, Albany, and Roseburg. While you’re here, take one of our new Acura cars out for a test drive. Like the new Acura MDX, Acura RDX, or Acura TLX. Sleek and refined, these latest offering from Acura are nothing short of luxurious and come excellently equipped with award-winning safety features and technological innovation. Begin the search for the vehicle of your dreams by browsing our wide selection of new inventory at our Acura dealership and our comprehensive selection of used cars in Eugene. If you have trouble deciding, check out our car finder tool and we’ll help you find that perfect vehicle. Kendall Acura understands that not everyone is in the market for a new Acura car. That’s why at our Acura dealership you will not only find new Acura cars, but an expansive inventory of used cars in Eugene as well. Our large selection of Acura used cars provides our customers looking to make a used car purchase with many options. Furthermore, in our selection of used cars we have an inventory of Certified Pre-Owned Acura cars. To ensure top quality, our certified Acura vehicles have gone through multiple-point inspections and several tests. Shop our used cars, then give us a call or contact us online of by phone if you have any questions. We also offer our Kendall Auto Protection plan on all qualified used vehicles. This coverage is unheard of at other dealerships and offers extensive auto coverage that includes your engine, transmission, and drivetrain system. It’s the ultimate in peace of mind and we’re happy to offer it to our customers because going the extra mile is simply what we do here at Kendall Acura. Buying a new car is an investment and an exciting time in anyone’s life. Let us help you keep the excitement going and keep your wheels on the road by providing you with unparalleled service for both you and your vehicle in our Acura Service Center. Simply make an appointment online or over the phone and let our certified technicians get you back on the road and back to your life. In addition, if you are ever looking for parts and accessories, look no further than our Acura Parts Center. 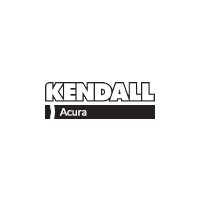 Kendall Acura is not your average dealership and we know that you are not the average customer. We are proud to call Eugene, OR home and believe the Pacific Northwest is the best place to work and live in the entire country. We’ve been doing exactly that since 1937, when Kendall Auto Group was first established. Since then, our family of dealerships has grown along with our love for Oregon and our dedication to providing the kind of vehicles and customer service you’d expect from a family. Come be a part of ours and visit us at Kendall Acura, where we believe caring isn’t just a concept – it’s a way of life.